當初訂這個酒店因為看到評論說可以在陽台吃早餐，加上從陽台看到大海. 確實可以在陽台吃早餐，因為沒有lobby和餐廳，酒店每天讓你前一天選好餐點和時間，第二天送去. 餐點一般，雖然有飲料和幾種選擇，但並不是特別好吃. 房間外面可以晾曬衣服，酒店可以提供沙灘毛巾. 員工們非常親切，有問必答，還讓我們提前入住. 但是... 缺點： 1.酒店位置在出了station1的地方，截止到2019年4月，這個路段附近還在施工. 而酒店在一個山坡的半山腰上，並未在google地圖上標示，若是第一次去帶著行李不好找. 由於在半山腰上，很難和司機敘述地點，司機也會藉口在山坡上而要求多付車資. 2. 雖然之前有人提到可以看到大海，但是前面有高樓酒店和建立一半未完工的酒店，並沒有什麼景色可言. 酒店前方和高樓酒店間是一些當地人矮平房. 他們會燒一些垃圾或烤肉，所以空氣也沒有很好. 3.冷氣機. 非常古老的舊式冷氣機！ 晚上開空調如同在一個工廠睡覺一般！並無法安靜入睡. 但是天氣炎熱，無法開窗入睡，窗戶無紗網，會有蚊蟲進入. 4. 窗戶很小，落地窗式的大門需要關上窗簾，不然毫無隱私，所以房間內光線很暗. 5. 安全隱患！！ 我入住期間時遇到旁邊酒店和這個酒店牆外的電線桿走火跳閘！ 我當時剛洗完澡，突然停電，男友在外面看到電線桿電線起火，而這個電線桿是掛在這個酒店的牆上. 火燒了一會，所幸並未蔓延！但是，在這期間，酒店員工並且用滅火器滅火！ 他們可能也沒有滅火器吧. 因為如果火燒起來，不用幾分鐘，酒店的整個牆就會起火，我當下收拾了行李，若火勢蔓延，則決定離開. 第一晚抵達長灘島的時候, 覺得這間飯店離鬧區 (S2) 有點遠. 後來實際逛過了S2區域之後, 發覺S2實在太吵雜了, 好險選擇這裡住宿. 旅館共有六間房間, 圍繞著一個不大的游泳池 (泡水池? ), 在我們待在長灘島的三個晚上, 常常都是獨享這個泳池的. 與三五好友買個啤酒, 零食, 隨意地在泳池畔聊天喝酒泡水 (但是請注意音量, 因為這裡住宿實在太安靜了, 不要打擾到其他房客比較好). 服務人員的服務水準沒話說!!! 我在晚上泡水的時候 , 立刻詢問我是否需要大浴巾? 我告知最後一天將在清晨四點半離開前往機場, 無法享用旅館提供的免費早餐, 旅館就改準備一人一個小蛋糕替代, 雖說不是很貴重的東西, 但是這種替你設想週到就是讓你備感溫馨. 下次如果有好友要前往長灘島旅遊, 我會優先推薦這間住宿!!! True value for money. One thing I dont like was the door/window/curtains. Since glass sliding door, much better if makapal yung curtain. Mejo exposed kasi. BUT EVERYTHING ELSE, Very nice. If ever I go back to Boracay, this will be my go to accommodation 👍🏻👍🏻👍🏻💕 Thank you! 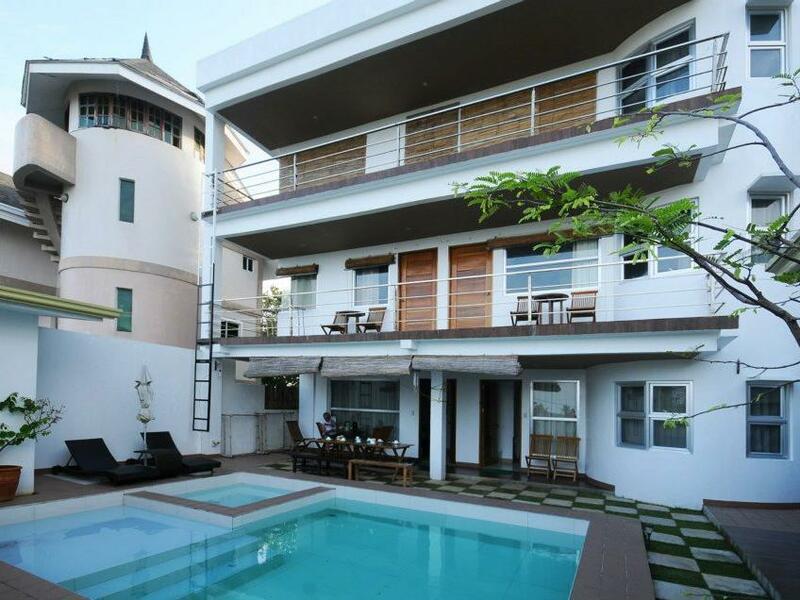 Walking distance to the white beach (5mins), 7-11 etc. It's away from the crowd thus no noisy issue. Room is clean & bed is comfortable, like their filipino breakfast, they do provide airport transfer too with reasonable price, will definitely come back again ! Few minutes walk away from station 1 beach but the room is very clean and staff is efficient and friendly. Atmosphere is very relaxing and pleasant. Will definitely come back and stay here. Stayed here on September 2017. This hotel is good, the staffs are very hospitable, willing to help their clients, accommodating, and most of all service-oriented. They have awesome rooms for you to stay. 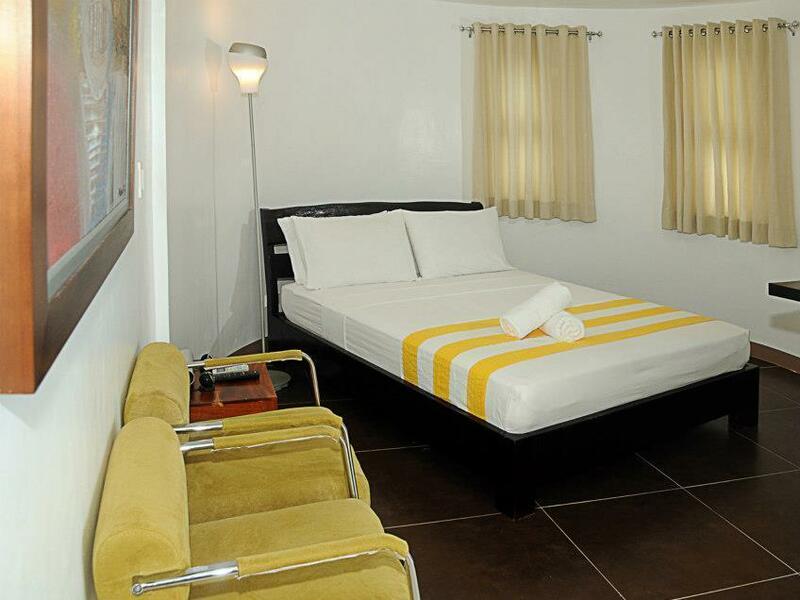 Each room has a common balcony, clean bedrooms and clean restrooms. The rooms are perfect for two. The gotel also offer free breakfast, upon your arrival, you will be asked with their menu for the following day since they will be serving you a well and newly cooked breakfast; food will be served directly to your room. I just don't know if aircondition during that time is not really functioning that well but temperature is just moderate and enough; not too cool but not warm. The location of this hotel to the beach is just few meters away from the front beach and there are restaurants and laundry shop near its location. As for the security, they do not have their own security guard in uniform but I know that the place and the room are secured. We went to Boracay last June 22, 2017 and we stayed here for 4 days and 3 nights. I'm so sooooo impressed in this hotel. The moment I walked into our room for the first time, I told myself that I will leave a review here in Agoda about how good our stay here. Let me tell you the things that I loooove about this hotel. 1. Budget-friendly Since we're going to stay in Boracay for 5 nights, I'm looking for an affordable hotel with a very nice room. I booked our room for only 1,600php with free breakfast! 2. Room- Our room is located at the 2nd floor facing the beach. The room is soooo spacious. Airconditioning is good. We have a cable tv, mini bar, safety box, and a lot of storage whice I looove the most. Room is modern and updated. 3. Staff- They're one of the warmest and nicest persons I've ever met in Boracay. They accomodated all our requests with a genuine smile. 4. Bathroom- I'm very specific with the bathroom of every hotel. I love that it's modern and has a nice hot and cold shower. 5. Others- I love the idea that breakfast will be served at your room in your balcony. I love the spacious bed that has 5 pillows (which is very uncommon to some hotels) Housekeeping is on a daily basis. I don't usually leave a review but this hotel impressed me a lot that I make sure to find time to compose my good review to them. I'll surely book them again on my next trio in Boracay. The rooms were clean and the staff were extra friendly and helpful. Especially Ate Agnes. This place though is difficult to find at first. Tell the tricycle drivers that you are heading to Escondido, and the path uphill leads to Westcliff Villa. Highly recommend this place! If you don't mind walking the distance to White Beach, you can consider this. This place got a good view of the whole town, and is 7 minutes walk from White Beach Station 1. Simple breakfast are served to your room everyday. However, the WiFi was not working 90% of the time. Our stay was great. We love the clean and homely place. Most of all staffs are very friendly. It is also very quite as it is located at the back of the street away from any noise. The only downside is a little climb on the steep road up to the hotel. Highly recommend! the hotel was very nice and out of my expectation, there is only few rooms but the design is really good, and I like so much all the room also has the balcony so at night I can sit there to enjoy the wind. I also have breakfast on the balcony every morning, when you wake up they will quickly deliver the breakfast for you. The staff also super nice too. this hotel if you want to go to beach just 2 mins walk so the location also good. If I go again I'm sure will book this hotel again. Great breakfast and kind staffs.